We are a full service swimming pool and spa company located in Bethlehem PA. We have been in business since 1974, and are proud to sell the absolute finest quality pools (Doughboy) and spas (Hotspring). Our staff has a combined experience of over 125 years! We would love to add you to our list of happy customers. Our company is specialized in producing high-standard bathroom equipment. 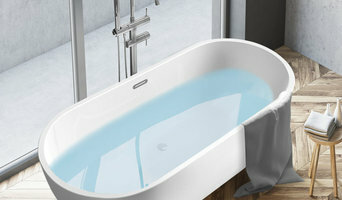 Our products include, but are not limited to, acrylic bathtubs, shower trays/bases and shower enclosures. Our goal is to manufacture the quality products and provide our customers with the best possible service from start to end. Pool & Spa Sales, Installation and Service. 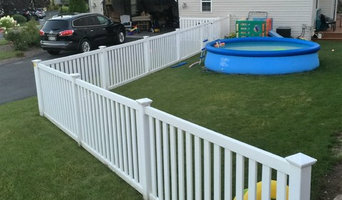 Family owned and operated creating backyard vacations since 1969. Specializing in swimming pool & spa care, maintenance, installation and services. With two retail locations for all of your pool and spa needs. Barto Pool & Spa carries a complete line of Marquis and E-Series Hot Tubs; Celebrity Hot Tubs; above ground pools;ATV Aquatic Training Vessel Swim Spas; BioGuard chemicals; LOOP-LOC custom safety pool covers; pool accessories, pool equipment and parts, pool toys, and games; and spa accessories. Looking for a Jacuzzi-- otherwise known as a hot tub or a spa? We have tubs for all budgets! We also provide pool and spa service and maintenance. Whether you live in Phoenixville, Oaks, Exton, Collegeville, Chester Springs, Spring City, Eagleville, Pottstown, Paoli, West Chester, Coatesville—or anywhere in between—Barto Pool & Spa is your top choice for quality and value. We cover an approximate 25-mile radius from our showroom. Barto Pool & Spa has been family-owned and operated since 1970. Located on Rt. 113 in Phoenixville, the company is easy to find from anywhere! We have been ranked as one of the Top 50 Pool & Spa Retailers in the country—stop in and see why! We are a 2017 Trade Certified Spa Retailer-- check it out at www.spasearch.org. We were also selected as a 2014 Retail Star by Industry Magazine Spa Retailer and a 2015 Industry Panelist. If you're looking for a quality Swim Spa or Hot Tub for your Pennsylvania, Maryland, Delaware or New Jersey home, or the surrounding areas, call Half Price Hot Tubs today!. Be sure to check out our brands page for a list of all of our Five Star rated manufacturers including Pinnacle Spas, Strong Spas, Premium Leisure, Four Winds, Dynasty Spas, Durasport Spas, and Go Spas! 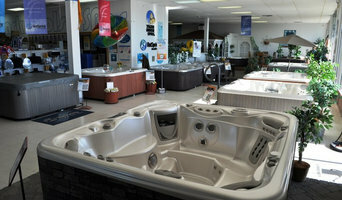 Visit us today and enjoy life to the fullest in your new hot tub! We have the largest display of spas in the Delaware Valley and offer a full range of hot tubs, swim spas, saunas and more! We know that our sales team and staff speak for themselves. If you call or walk into one of our stores for even a few minutes, you will be greeted by a friendly staff member who wants to help YOU with your questions and concerns. We are a family-owned business with over 25 years experience in the hot tub industry. We have three locations in Jamison, Pa, Exton, Pa and West Berlin, NJ serving the entire Philadelphia region! Names Jalen. I'm a professional, Licensed barber over in the east part of Allentown. I pride myself in giving fresh haircuts while providing excellent service. I am passionate about cutting hair and always give 100% to every one of my clients. I look forward to working with you in the future! It’s important that you do some research before visiting a local Wayne spa and hot tub dealer. While they can give you lots of information about features and financing, you should have an idea of where you would like to position your spa and what its main function will be. Do you plan to use it mostly for relaxation or socialization? How many people will be using it? All of these things will help the hot tub dealer pick the best models for you. Decide who will be responsible for daily maintenance in your household and if the extra energy costs are something you’re actually willing to incur. Also, know that most hot tub stores in Wayne, PA let you do test soaks, also known as a “wet test”, where you can throw on your suit and take each model for a spin in the showroom so you know exactly how they feel before purchasing. Don’t be shy — just think of it as test driving a car! 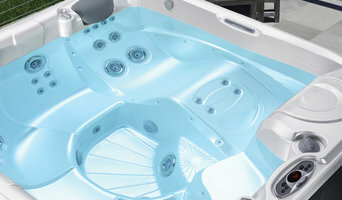 Find spa and hot tub dealers in Wayne, PA on Houzz. Narrow your search in the Professionals section of the website to hot tub and spa dealers in Wayne, PA. You may also look through photos to find hot tub designs you like, and ask about the details of the spa, including the manufacturer and where it was was purchased.